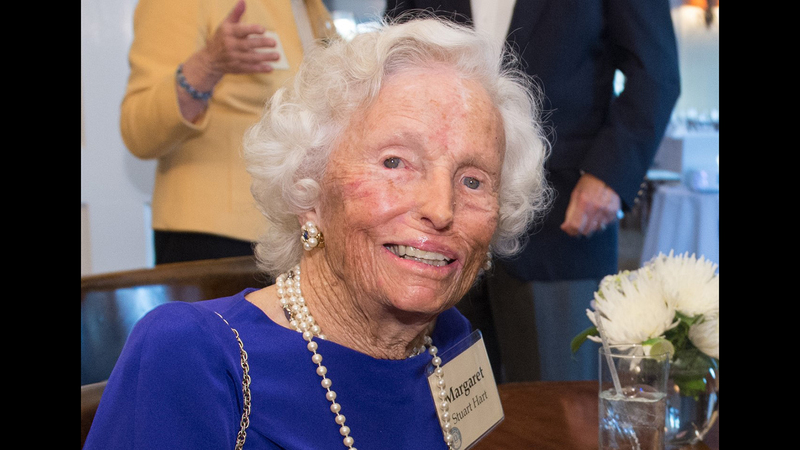 Margaret Hart, who served as a Window to the World Communications, Inc. trustee from 1986 to 2010, died Jan. 27 at her home in Lake Forest. She was 97 years old. WWCI is the parent organization of WTTW and WFMT. During her nearly 25 years of leadership at WWCI, Hart served on various committees that influenced the growth and direction of the organization. She remained an active member and philanthropic supporter of WWCI until her death. An alumnus of the University of Chicago, Hart and her late husband, Augustin S. Hart, had five children while living in Long Island, New York. They moved to Lake Forest in 1960. A memorial service will be held at 2 p.m. Friday, May 17 at the First Presbyterian Church (700 Sheridan Road) in Lake Forest. In lieu of flowers, memorials may be left to Lake Forest Open Lands, First Presbyterian Church of Lake Forest and The National Parks Conservation Association, according to her obituary.